Is Complaint About Alcoholics Anonymous a Mental Illness? 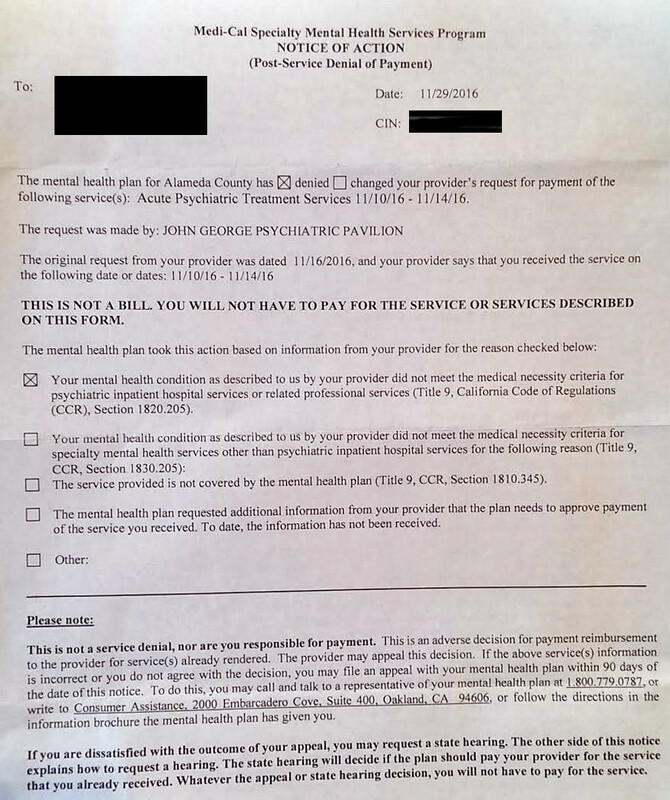 Nobody knows why I was taken out of my home by Oakland CA police to spend 5 days at a mental institution, including the mental institution itself. But they still asked the government to pay for it. The government refused to pay for it because the mental institution did not have any good reasons for me being there. This coincided with my complaint to the NYS Justice Center about how the Department of Education investigator said it was their policy to not look into ‘the AA thing’, which I told them made me feel suicidal because there is plenty of reason to look into it. The Clinical Director of Samaritan Counseling at the time, Jenness Clairmont, happens to be on the NYS DoE Office of Professions licensing board. She is a consultant for the 12-step group NYCPG (problem gambling). I am not allowed to speak with her because I didn’t use a stamp when I delivered a letter about AA coercion. The letter telling me that I was not allowed to speak to her was signed by her and David Olsen, the Executive Director of Samaritan Counseling, and it referred me back to a 12-step interventionist. I thought this was strange because in the one meeting I had with her, she said that most Samaritan Counseling therapists don’t agree with the 12-step approach. The Office of Professions first investigator told me “nothing you are saying now makes any sense” and the second one told me “we don’t look into the AA stuff“. I have also asked for verification that my complaint was received and understood by my therapist Oona Edmands, who seemed compelled by addiction specialists to ignore me, and there has been no response. AA has been preventing AA criticism in colleges for a long time. It’s time to stop seeing Anti-AA activists as government conspiracy theorists and take a close look at how government works. and then when I asked about it, i got this weird response that it depended on who funded it. Government is staffed by people with ideological and financial interests. They create laws that regulate or refuse to regulate industries based on private interests. The purpose of checks and balances is to protect the public from unjust law. The anecdote in this article is significant in that there was a clear case to be made that the state was establishing religious indoctrination by mandating Alcoholics Anonymous attendance, but due to personal and group political interests, eyes were averted from this violation of the Establishment Clause. It is expected and understandable that people entrusted to wisely allocate public funds, and with the regulatory power to license or de-license professionals endorsed by the state will bring their personal beliefs into the equation. The judicial branch of government protects the public from policy-makers acting unfairly in their own interests to the detriment of society. Judges can only get involved if the case is brought to their attention. 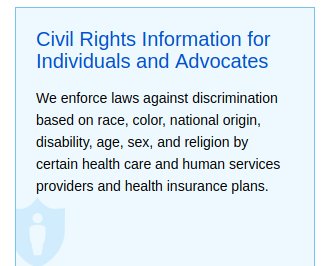 A group like the ACLU is obligated by their own promises to bring these cases to the courts. In this case, it is fairly clear that the opportunity was missed, and the consequence has been the increasing ability for government agencies to protect, promote, and fund the establishment of the 12-step cult religion. One ACLU lawyer neglected to attack AA under the the Establishment clause and later admitted she was an AA member. “[Ellen, that’s when we first began to disagree. You wanted to stick with a free exercise clause argument. I wanted you to include the establishment clause. I felt some satisfaction when Jack Schwartz, the AG’s assistant, asked you why you weren’t arguing the establishment clause. You got mad at me and became stubborn. I later realized you didn’t want to endanger people’s access to AA. Later you told me, as if in a confession, that you’d gone to AA for quite a while. You seemed surprised that I didn’t care. We disagreed on a lot of things after that. That’s something I always valued in our relationship. That we could disagree and get angry at one another and still be friends. ]” -Jeffrey A. Schaler, Ph.D.
– From the Washington Post Obit. 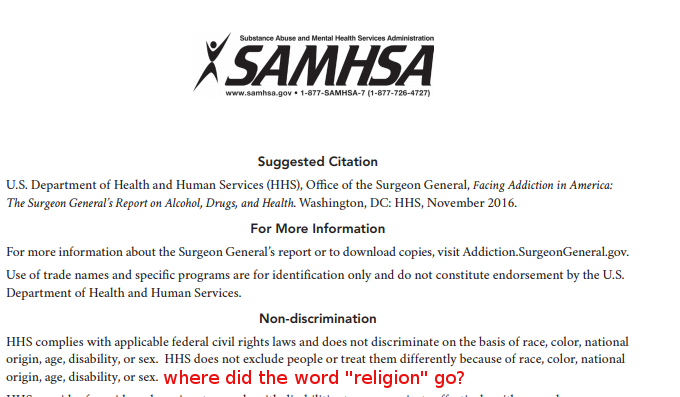 Elements of the Surgeon General’s report on Facing Addiction suggest that the Department of Health and Human Services needs to be brought to court for neglecting concern for civil rights related to religion. Here’s a 23 minute interview with Monica Richardson at the Berlin Film Festival about her documentary exposing the AA cult. Last month I talked about how the police came to my house at around 5am and handcuffed me, taking me to a mental institution where I spent five days. I told the police that I did not want to go. Today I find that Medi-Cal is not going to pay for this, because there was no medical or psychiatric reason for me to be there. The police would not tell me who made the call. I have been filing complaints for nearly three years and they have not been addressed. A New York State DoE investigator specifically told me that they “don’t look into the AA thing”, so I filed a complaint with the Justice Center against the NYS Department of Education. Two days later, I am involuntarily institutionalized. How do I get my 5 days back, and who had me committed in the first place? All questions that cannot be answered by anyone, apparently. If you follow OASAS’ Facebook feed, you’ll see that they are constantly promoting and funding Alcoholics Anonymous-based rehabs and “outreach” programs. This is most likely illegal and the public needs to know that OASAS is suppressing informed consent when they do this, not to mention violating the First Amendment by using government funds to establish religion. “There isn’t a lot of research in the field of recovery, Provet admitted. But there is still evidence that promoting some of its components is effective in preventing relapse. “Although quantitative research on the overall efficacy of recovery coaching and personal recovery plans is sparse, many of its components and effects have been researched and supports using this approach with our target population,” said Provet, citing in particular the work of Bill White. “Recovery coaches, 12-step programs, spirituality, and social and community support are integral to sustaining recovery. Increased goal-oriented thinking was positively correlated to length of time abstinent, quality of life, and self-efficacy,” he said. Maintaining motivation and self-efficacy for abstinence and increasing active coping post treatment were predictive of more favorable outcomes, such as increased participation in 12-step meetings. You can now go in to ‘treatment’ for substance use disorder and come out powerless over gambling, or at least telling everybody you know that they might be.